The Womens AR-385a Harness from Arcteryx is both comfortable and innovative and allows you to perform at your best everytime. Made with Warp Strength Technology, it spreads the load evenly across the entire width of the harness so you feel supported and comfortable all-day. Made from hard-wearing durable materials so you can focus on crushing your next climb. 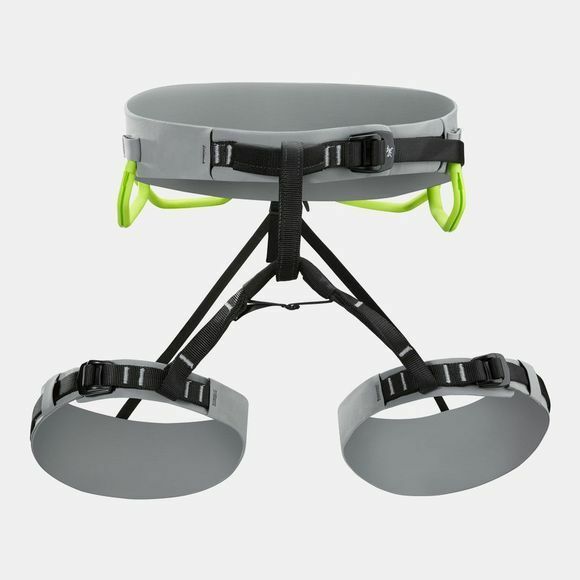 With four-way streatch and leg loops that are adjustable and with plenty of gear loops, this harness is designed so you can push your limits every time you climb.